More Jeeps and pickup trucks. And partners sought to build small cars. Future Chrysler 200s may be built by a competitor. Shop for a small Chrysler product in a few years and that Dodge Dart or Chrysler 200 just may be built by one of the automaker’s competitors. Earlier this week Fiat Chrysler announced its revised North American business plan with future production now geared toward producing more SUVs and fewer cars. Producing more SUVs and pickup trucks, and fewer small cars. 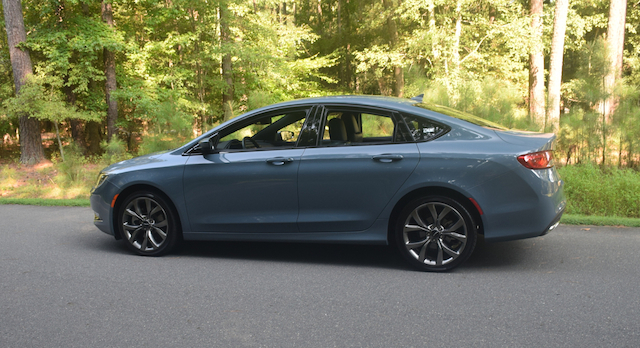 Outsourcing production of two vehicles — the Chrysler 200 and Dodge Dart sedans — to competitors. Adjusting its Alfa Romeo plans by concentrating on bringing its Giulietta sedan to the market during the first half of this year and bringing its midsize SUV online by the end of 2017. Other models are still on tap, but will arrive further out in the production planning cycle. Long top-heavy in pickup trucks and sport utility vehicles, Fiat Chrysler plans to tilt further in that direction as it sees increased permanency in the currently low fuel prices. A global glut in fuel availability has driven down prices tremendously and some analysts believe low prices will be around for many years. FCA CEO Sergio Marchionne says that the company’s two US-built small cars, Dart and 200, will “run their course.” Instead of funding development of new product, the company plans to reach out to its competitors to build these models for them. The manufacturing plants tasked with building the two models will eventually be converted to building Jeep products and pickups. The company’s Sterling Heights plant in Michigan currently builds the 200 but will be retooled to build the next generation Ram 1500 pickup trucks due out in 2018. A similar transition is in the works for the Belvidere Assembly Plant in Illinois, producer of the Dodge Dart. That plant also produces the Jeep Compass and the Jeep Patriot. Partnerships are in the offing. Fresh on the heels of partnering with Mazda to build the Fiat 124 Spider, FCA will seek additional partners to help it maintain a presence in the small and midsize car categories. Such collaboration between automakers is nothing new, but this practice has increased steadily over the past several years. New hybrid models are on the way. FCA will step up its hybrid game by offering more models across multiple platforms. Even the Jeep Wrangler and the Ram 1500 pickup truck will receive hybrid variants. No new manufacturing plants are planned. FCA plans to maintain its current manufacturing plant count and won’t build an additional plant in Toledo as had been expected. Instead, FCA will utilize its current footprint as it leans toward building more Jeeps and Ram pickup trucks. Build me a diesel. FCA will also bring a diesel Wrangler Unlimited to the market, but likely not for five years. Even so, a diesel-powered Wrangler would appear a few years before a hybrid variant is released. Fiat Chrysler’s profitability has always hinged on its North American market. By producing even more Jeeps and pickup trucks and fewer cars, the automaker’s profitability picture should remain robust for several years. At the same time, its greater commitment to these models could leave the company exposed if consumer tastes suddenly shift following a huge spike in fuel prices. That’s a gamble the automaker is willing to take as consumers flock to a variety of high-profile vehicles.